Ten award-winning and favorite short films from the 46th Ann Arbor Film Festival, covering all dimensions of the frame: avant garde film art, experimental animation comedy, alternative narrative, poetic and abstract explorations of nature, indie documentary. Time Pieces also includes rare bonus material with deleted scenes, director commentary, artist statements, video installations and audition outtakes. 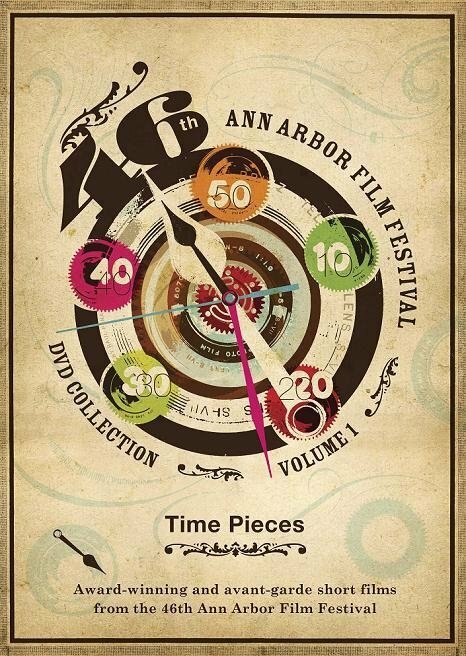 All sales revenues of Time Pieces are shared with the filmmakers, furthering the Ann Arbor Film Festival's mission to help support talented artists working with film and video.